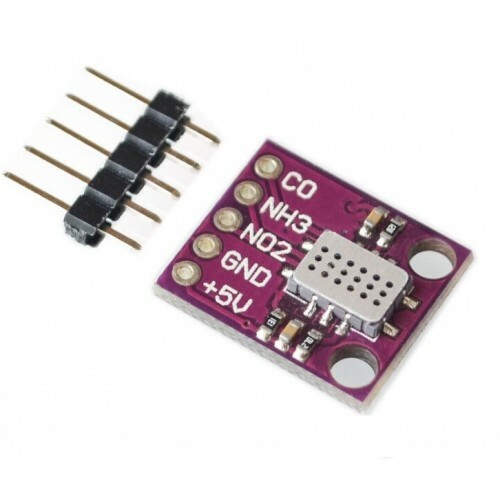 This module is a basically a breakout board for SGX Sensortech MICS 6814 Air Quality MOS Triple sensor. MiCS-6814 is a compact MOS sensor with three fully independent sensing elements on one package. It is a robust MEMS sensor for the detection of pollution from automobile exhausts and for agricultural/industrial odors. MICS 6814 has a silicon gas sensor structure which consists of an accurately micro machined diaphragm with an embedded heating resistor and the sensing layer on top. 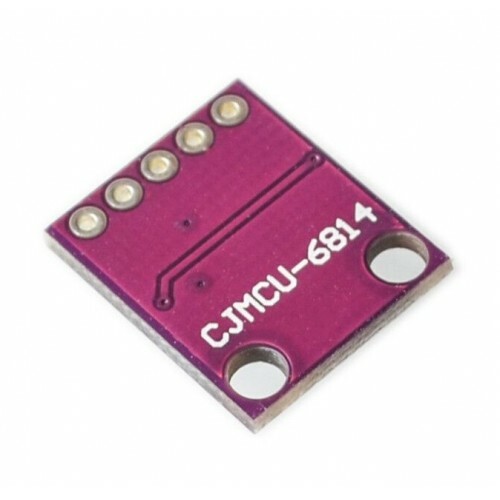 The MiCS-6814 includes three sensor chips with independent heaters and sensitive layers. 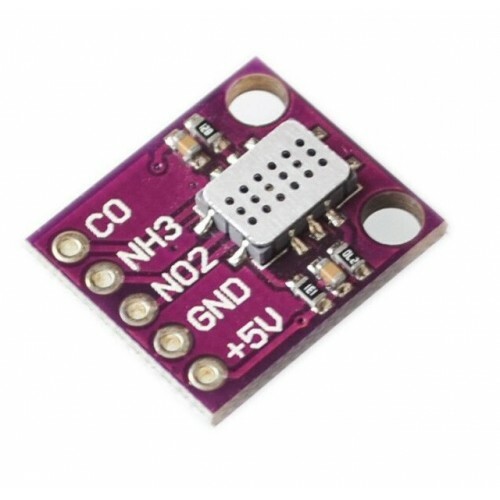 One sensor chip detects oxidising gases (OX) , the other sensor detects reducing gases (RED) and the other detects Ammonia (NH3).